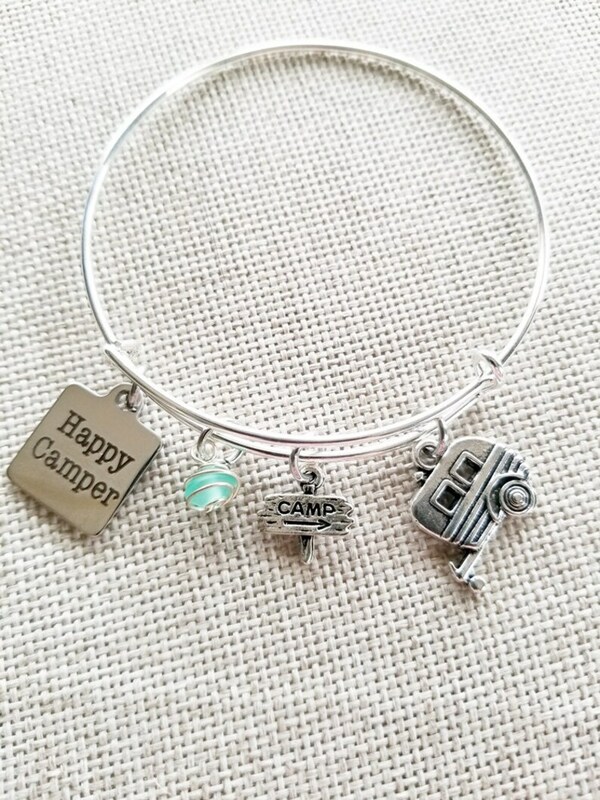 A silver bangle adjustable bracelet done in a camper, happy camper style. It is adorned with a happy camper charm, vintage pod camper charm, turquoise sea glass charm and a stake with the word camp with arrow. Perfect accessory for that die-hard camper. Silver wire bracelet and charms.